Hi, everyone! I am adding a new addition to the This Runner’s Recipes site, which I am very excited about! 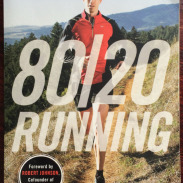 I’m a voracious reader, especially when it comes to anything about running, food, nutrition, and racing, so I’m adding a This Runner’s Library section to the site! This will feature posts about books I’ve read and recommend. I firmly believe that the more you read about something like running or cooking, the better at it you become. Hopefully I can recommend books to you that help you achieve your running and nutrition goals. Many runners want to get faster at races, especially long races like the marathon and half marathon, which require lots of careful training if you want to run fast and break a PR. The Hansons Half-Marathon Method: Run Your Best Half-Marathon the Hansons Way , which I first read last summer, offers a plan that will help you run your fastest half marathon yet. What makes the Hansons Half Marathon Method a valuable resource is not just its promise for a faster half marathon, but its discussion of running physiology and why certain workouts make you a better distance runner. Even though I haven’t used the specific plans provided yet (although I hope to try them soon for a half marathon goal race), I regularly use the pace charts for my speed and goal pace tempo workouts and implement many of the principles into my own training. The Hansons Half Marathon Method is based off the extremely popular and unconventional Hansons Marathon Method (which is famous for only going as far as 16 miles in the long runs) and thus stresses the same training principles. The Hansons Method is based off of the teachings of Arthur Lydiard. I briefly discussed Lydiard in my recent base building post, as Lydiard contributed much to the idea of base building and high mileage training. The Hansons Method adopts Lydiard’s idea of culmulative fatigure as the primary emphasis on their training plans. Culmulative fatigue is exactly as it sounds—the accumulation of fatigue from training. This is NOT overtraining, but rather training over days, weeks, and months that does not allow for full recovery between runs. Culmulative fatigue develops out of high weekly mileage, high intensity workouts, balanced training, consistency in running, and active recovery (i.e. recovery runs). Culmulative fatigue prepares you for race day by teaching you to run on tired legs and causing your body to adapt to running for a long time at a high intensity. Based on the principle of culmulative fatigue, the Hansons Half Marathon Method provides three plans (Beginner, Advanced, and Just Finish) that all include six days of running per week with one day of complete rest. The Beginner and Advanced plans also include three weekly workouts: speed/strength intervals, tempo runs, and long runs, all sandwiched by easy days (the Just Finish plan only includes long runs). These training plans last 18 weeks and peak at 48 miles (for the Beginner) to 51 miles (for the Advanced). If you’re at all interested in exercise science, Hansons Half Marathon Method offers a clear and informative introduction to concepts including running-specific muscles, VO2max, anaerobic and aerobic thresholds, and running economy. I loved reading these sections because it’s so amazing how race training causes your body to adapt in specific ways, like increasing slow-twitch muscles and learning to run more efficiently. The bulk of the book is devoted to the three half marathon race plans. In addition to the schedules, the Hansons Half Marathon Method provides pace charts for the speed intervals based on your current 5K or 10K pace and for the strength intervals and tempo runs based on your half marathon goals. They provide specific training paces for time goals ranging from a 1:02:30 (4:46/mile pace) to 2:24:00 (11:00/mile) half marathons. If you’re aiming for a 2:25:00 or slower half marathon, you’ll want to follow the Just Finish plan, which does not require any speed or tempo work. Beyond prescribing paces, they programs also offer tips for modifying the programs based on your own life. 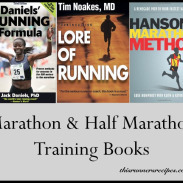 The rest of the book discusses setting half marathon goals, supplemental strength and mobility training, nutrition and hydration, and race day tactics. They also devote a chapter to how to recover after the half marathon and slowly reverse taper back into normal running. How do you know if the Hansons Half Marathon Method is for you? Your body handles higher mileage and multiple workouts a week well. You enjoy running most days of the week. You’re looking to PR at the half marathon. You enjoy having specific paces prescribed when you’re training. You love to read about the science behind running! The plan requires a lot of work, and you will definitely feel the effects of culmulative fatigue throughout the 18 weeks of training! However, if you are chasing a PR (especially after failed PR attempts), you need to work hard to achieve your goals. From the detailed workouts with specific paces to the race day tips, the Hansons Half Marathon Method will deliver that PR you are pursuing. The Hansons Half Marathon Method may not be the best training plan for you if high mileage leads to injury for you or you are a new runner just looking to finish a half marathon and train only 3 or 4 days a week. Overall, I highly recommend the Hansons Half Marathon Method! It’s a great book for distance runners to have as a resource on running science, even if you end up not using the training plans. 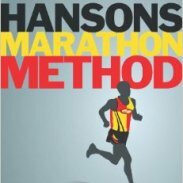 Have you tried the Hansons Half Marathon or Hansons Marathon Methods before? What did you think? I followed the Hansons full marathon plan last year- I really liked it but it was difficult to do the workouts as prescribed due to the weather we had last winter. I do think its a great plan and I would love to try the half-marathon plan sometime! That’s great to hear you enjoyed the full marathon plan! I’ve looked into it for my first marathon and it seems really difficult but definitely effective! Hi there. 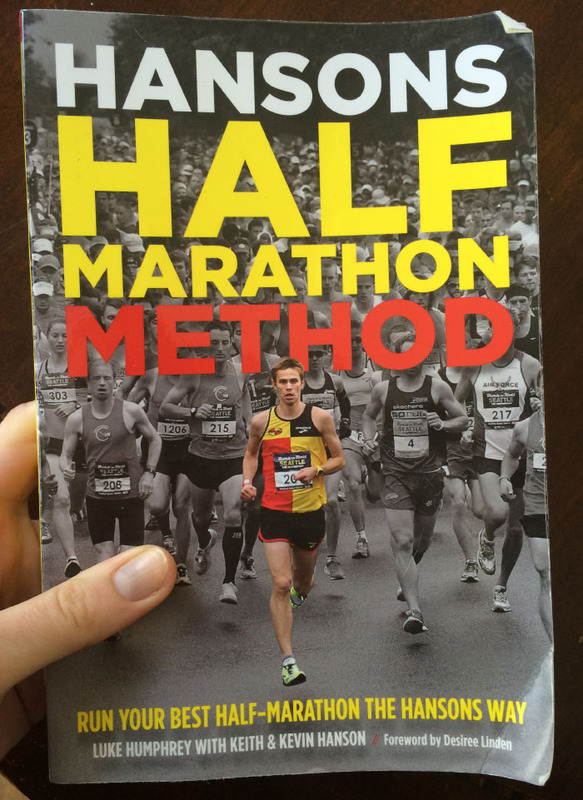 Any value in the half book if I already have (and followed successfully to sub 3) the marathon book? Thanks for the question! If the Hansons marathon method works for you, then chances are you will respond well to the half marathon method. The workouts follow the same methodology but are slightly different, so I think there is benefit to getting the plans if you are looking to train specifically for a half marathon using their approach. Do you read Loving on the Run? She just BQed using Hansons for the Kiawah full marathon. I think Hansons can be very effective. Personally, I’m still working on building a solid, strong base, and I think that Hansons would be better if I was regularly running 5-6 miles at a time on weekdays with longer runs consistently in the 8-12 mile range. Right now I’m still building to all of that. I’m also not sure I want to run that many times per week, since I like to do yoga and strength train as well. I do read Loving on the Long Run! I’m considering trying to BQ in the fall and her review of the Hansons Marathon plan made it very tempting to try it, although I’d be tempted to sneak in some 18 mile runs. I’m base building as well right now and doing 5 runs a week. I need to be better about strength training! I do yoga once a week – have you tried Runner’s World yoga? They’re great because they’re shorter videos (20-45 minutes) which make them easier to fit in with a running schedule.